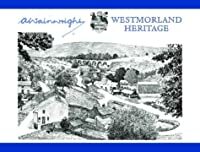 Indisputably the pre-eminent writer about the Lake District, and especially Lake District walks, in the past century was Alfred Wainwright. The Blackburn-born accountant moved to Kendal where he worked for the local authority. He spent as much time as was absolutely possible out on the fells and then back at home wrote up his notes and completed his sketches to collate into seven volumes of A Pictorial Guide to the Lakeland Fells. 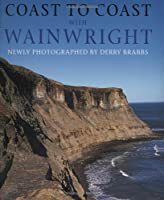 Many more books followed, initially in a style similar to the Guides, then later as his eyesight deteriorated his words were often accompanied by photographs by Derry Brabbs. 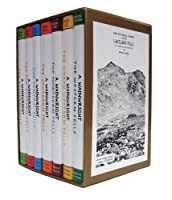 Below is a selection of Wainwright and Wainwright-related books. The Guides were not Wainwright's only output; far from it! Indeed he did not restrict himself to the Lake District but produced books on mountain walking in Wales and Scotland as well as areas nearer to hand such as the Pennines. Here, though, we'll restrict ourselves to his Lake District publications.